Three top Bristol breweries are taking part in a competition to find England’s best brewing city. Lost and Grounded, Left Handed Giant and Moor Beer form the Bristol team, which will go up against rivals from Leeds, Liverpool, London and Manchester in this groundbreaking event. It’s organised by Manchester Beer Week, which takes place from June 29th to July 8th, 2018. Each team has been tasked with creating a special, one-off beer that will be put to a public vote to decide which city takes the crown. Every brew will be launched at The Pilcrow’s Summer Beer Thing on Friday, June 29th, which takes place as part of Manchester Beer Week. There’ll also be simultaneous launches held at venues in each of the other participating cities. Drinkers at the events will be given the chance to vote for their favourite, while proceeds from the sale of the beers will also be donated to charity. 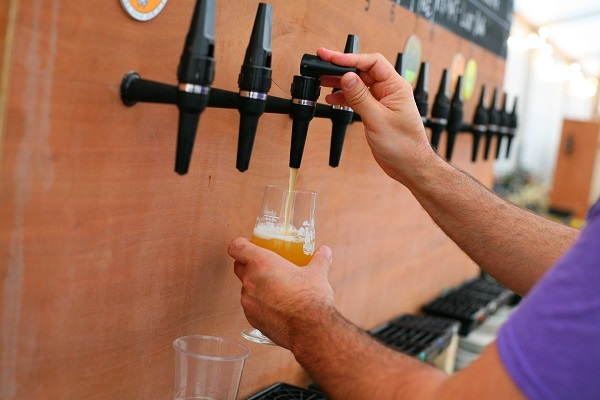 As host city, Manchester will enter two teams into the competition, the first led by Cloudwater, recently named the second best brewery in the world at the RateBeer Best Awards, and also including Track, Runaway and Wander Beyond. The second team contains Manchester’s oldest brewery JW Lees, craft beer innovator Marble, Beatnikz Republic and Pomona Island. North Brewing Co anchors the team in Leeds and will be joined by Northern Monk, Kirkstall and Zapato. And finally, Liverpool is captained by Mad Hatter, with Chapter, Neptune and Top Rope making up the rest of the side. And, finally, Fourpure leads team London, alongside Beavertown, Brew By Numbers and Orbit.